After carving a place for itself in war-torn 17th-century Europe, the modern time-displaced town of Grantville, West Virginia has established its new mission and identity. Yet, some have been left behind -- people like Bernie Zeppi, courageous in battle, but unable to figure out what to do with himself in a world that's utterly changed. 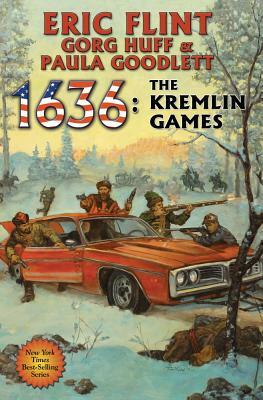 Then Russian emissary Vladimir Gorchacov arrives in Grantville and hires Bernie to journey to Moscow and bring the future to a Russia mired in medieval serfdom and byzantine imperial plots. Bernie jumps at the chance. He figures it to be an easy gig, complete with high pay and hot-and-cold running women. But one thing Bernie hasn't counted on is the chance to find his purpose in Mother Russia. Bernie Zeppi, former Grantville auto mechanic, is going to have the chance to prove he's not the loser he believed himself to be. For now Bernie's task is nothing less than to save the woman he loves and the country he has come to call his own from collapse into a new Dark Age.